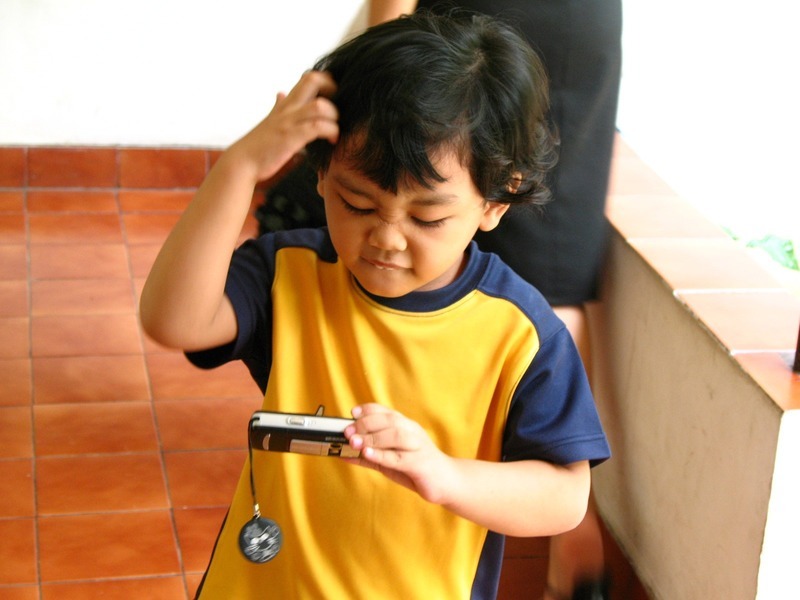 Dandruff is a common problem among people of every age group. You may get is as an infection from someone else suffering from dandruff. No matter how often you wash your hair, the occurrence of dandruff is accrued to various other skin conditions, like dry scalp or Seborrheic dermatitis (a skin condition). It can also result due to psoriasis, eczema, or as a fungal infection. If dandruff is troubling you, it is better to look for medical assistance and visit a skin specialist for the purpose. However, the problem of dandruff can be easily treated with some effective and inexpensive home remedies as well. Even though dandruff can be a rather embarrassing and confidence lowering condition, it is not very serious in most of the cases. Therefore, make it a point to try some home remedies to treat this simple problem, before you start to shell out money at a salon, with some simple ingredients in your kitchen. Baking soda is an excellent scrub that exfoliates the scalp gently. It helps to remove dead skin cells without irritating it. Exfoliation is necessary to prevent any type of buildup of flakes on the scalp as they can make dandruff more visible. Just add some baking soda to your shampoo and wash the hair normally. 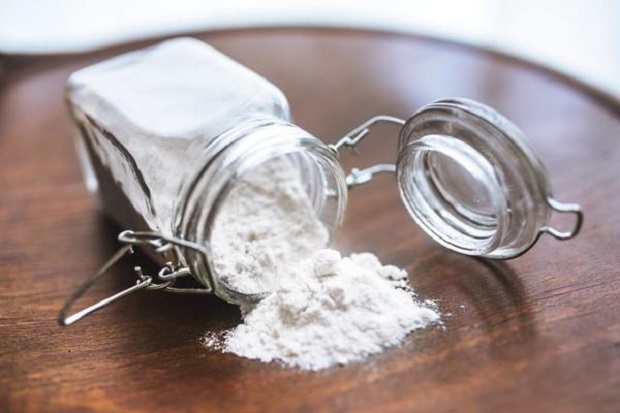 Another method is to rub a spoonful of baking soda to damp hair and leave it to work for a couple of minutes and then rinse off. 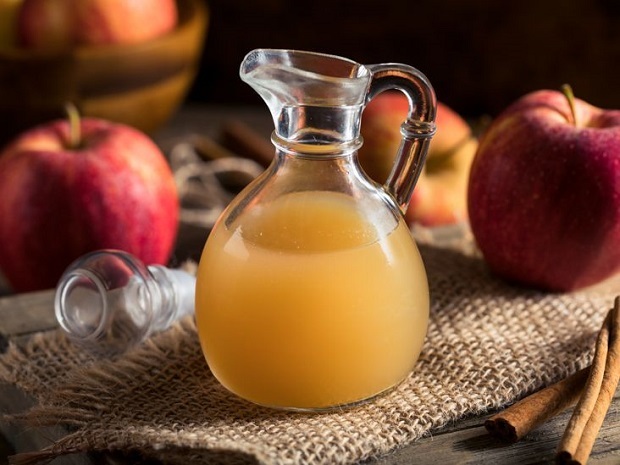 ACV is a natural hair clarifier that cleans clogged pores and hair follicles. Prepare a solution by mixing equal amounts of water and ACV and apply it over damp hair after a regular hair wash. Massage the scalp thoroughly and leave it on for about 15 minutes and rinse off with cold water. All anti-fungal and anti-acne medications contain tea tree oil for its amazing power to combat bacterial and fungal infections. Just add a drop or two of this essential oil to the shampoo and wash your hair normally. 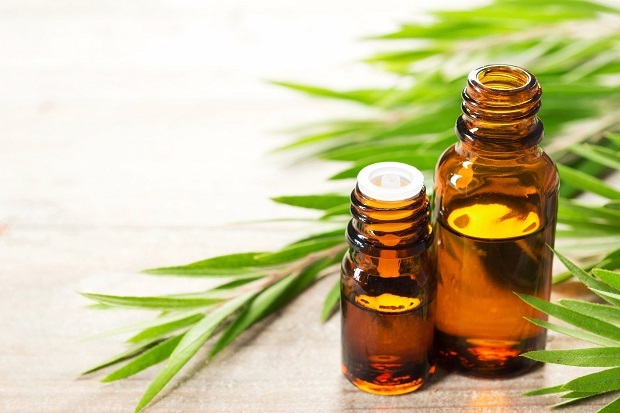 Another method to apply tea tree oil is to pour a few drops of it on the scalp and spread evenly. Allow it to soak for a few minutes. Wash off your hair as usual with your regular shampoo. The results are simply amazing! 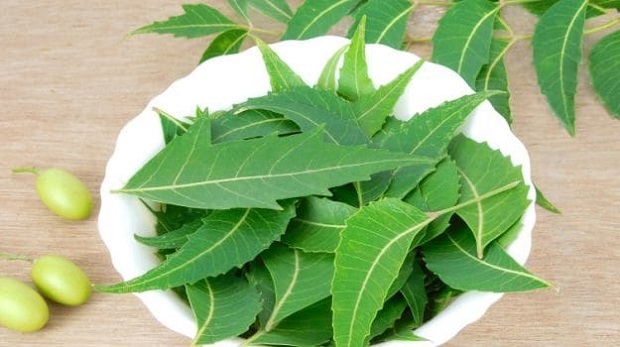 The role of Neem extract in skin medications is quite popular because of the amazing antifungal and anti-bacterial qualities. Since dandruff is a result of attributed to fungal infections of the scalp, this age-old remedy is simply amazing for skin infections. Grind a bunch of Neem leaves in a grinder to form a thick paste. Apply this paste on your scalp and let it stay for 10-15 minutes. Rinse off with cold water. Aloe Vera contains cooling properties along with anti-bacterial and anti-fungal properties. 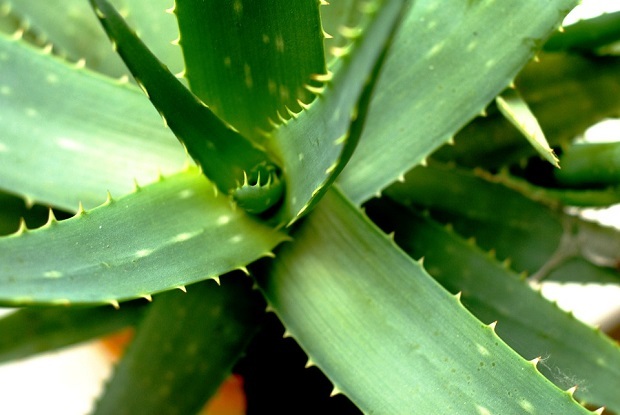 For best results, extract some Aloe Vera gel directly from the plant. This gel is transparent with a thick consistency. Apply it directly over the scalp and then wash off with a medicated anti-dandruff shampoo. This amazing herb also calms down the irritated scalp while providing relief from inflammation. Putting aside the pungent smell, the medicinal values of garlic can’t be overlooked for sure. The anti-fungal properties of this amazing natural product have been used in medicinal treatments for ages. 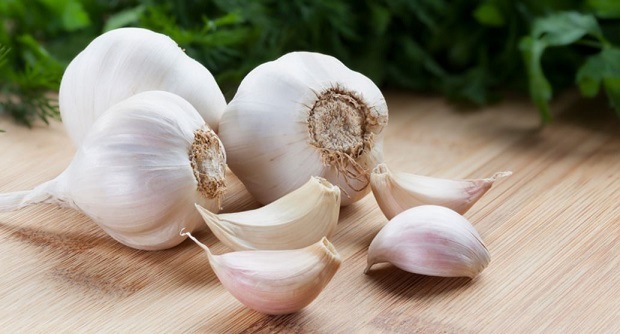 To use it on your scalp, pound one or two cloves of garlic and mix it with water. Apply the prepared paste all over the scalp and let stay for 15 minutes. Wash your hair with regular shampoo. Lemon juice contains hydroxyl acids that fight the fungi responsible for dandruff. Besides, it also helps to provide relief from itching on the scalp. 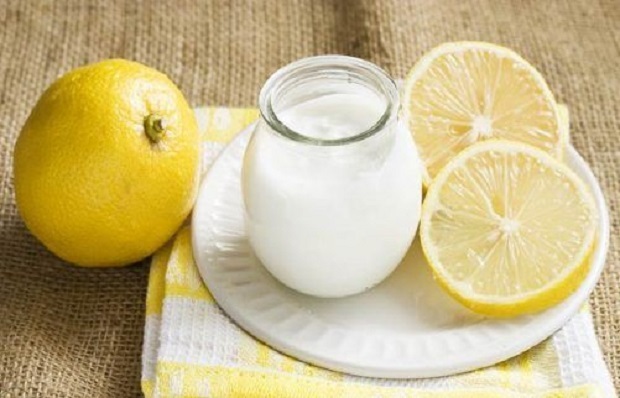 Mix juice of half a lemon to a quarter cup of plain yogurt. Apply it over your child’s scalp and hair. Let it work for about 20 minutes. Rinse off with cold water and shampoo normally. Fenugreek is an amazing herb that helps to control dandruff with its soothing and antifungal properties. 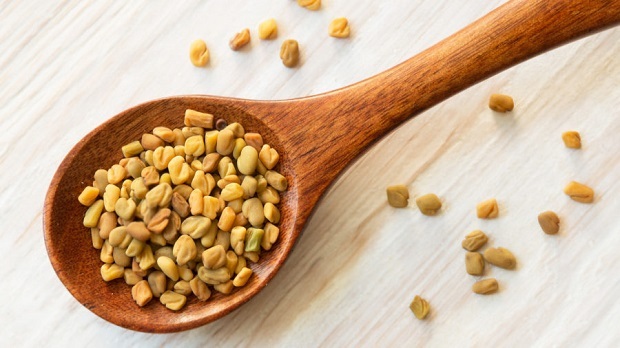 Just soak 2-3 tablespoons of fenugreek seeds in water overnight. Next morning, grind them to make a fine paste. You can also add some plain yogurt to maximize the effect. Apply this paste over your scalp and leave it for a few hours. Rinse off with cold water and shampoo normally. 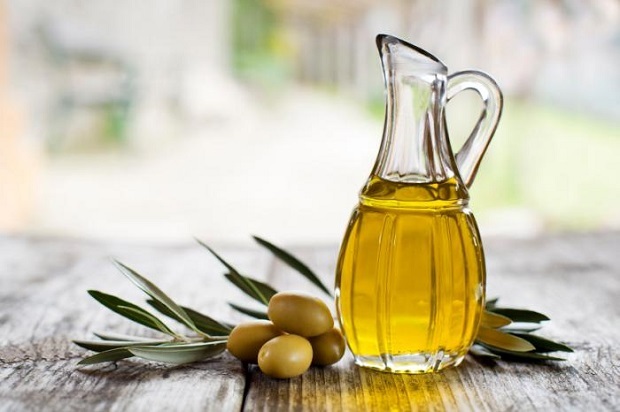 Regular use of virgin olive oil helps to fight off scalp dryness. Just heat some virgin olive oil to make it slightly warm. 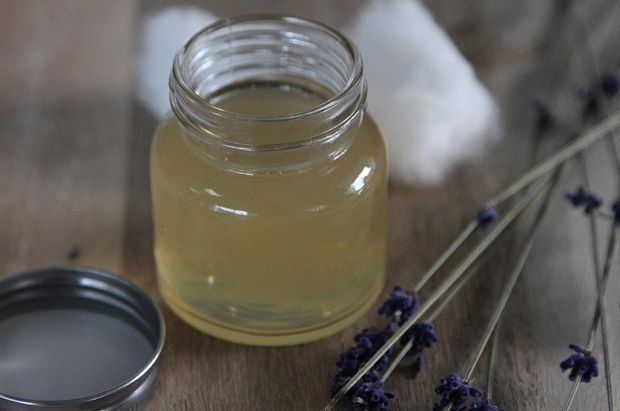 Use this oil to massage your child’s scalp and then wrap the hair in a warm towel. Let the oil stay for about half an hour or overnight. Wash the hair normally. 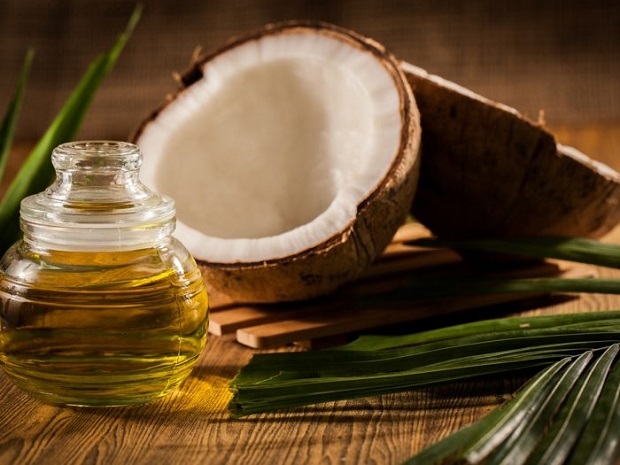 Coconut oil helps to combat dandruff with its antifungal properties. Besides, it also moisturizes dry scalp thus relieving itching on the scalp. Prepare a solution by mixing some coconut oil with a few drops of lemon juice. Rub it over your scalp and wash off after 20 minutes. Results are amazing! White vinegar is one of the best remedies to treat dandruff among any age group. It contains acetic acid that works to prevent the growth of fungi on the scalp thus providing relief from itching. Just add half a cup of white vinegar to two cups of water and use this solution to rinse your hair. You can treat dandruff with this simple home remedy. 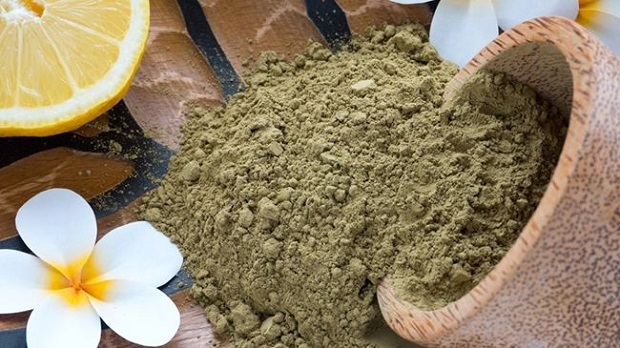 Henna softens your hair, while lemon juice works wonders in dandruff treatment. Mix Mehndi or henna with brewed tea, curd, and a dash of lemon juice. Set this mixture aside overnight or at least 8 hours. Apply it on your scalp and hair and let it stay for approximately two hours and then wash off thoroughly. Remember, all these remedies should be applied at least three times a week to get the best results. Continue to apply these remedies until you see the difference.